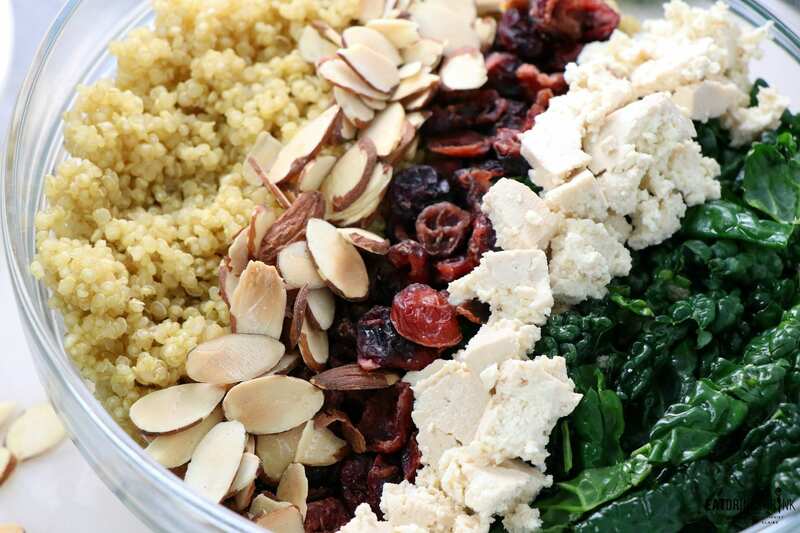 Kale and Quinoa Salad with Homemade Tofu Feta - Eat. Drink. Shrink. While I’m all about fresh modern vegan eats, I love bringing you guys back to the staples as it’s easy to get overwhelmed with trying new concepts. There are some recipes that are just timeless, perfect for any season, and will always find a place at my table. 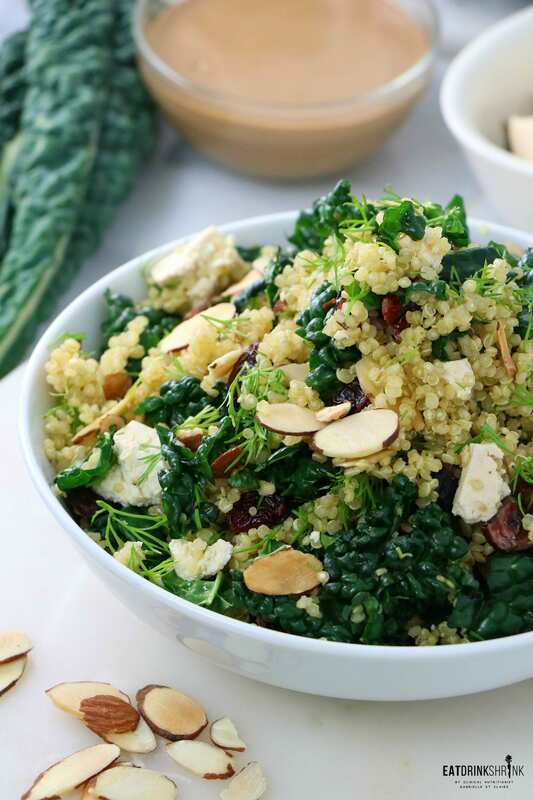 One of those is this fab Kale & Salad!! When kale came onto the scene over 5 years ago we were all taken by it. 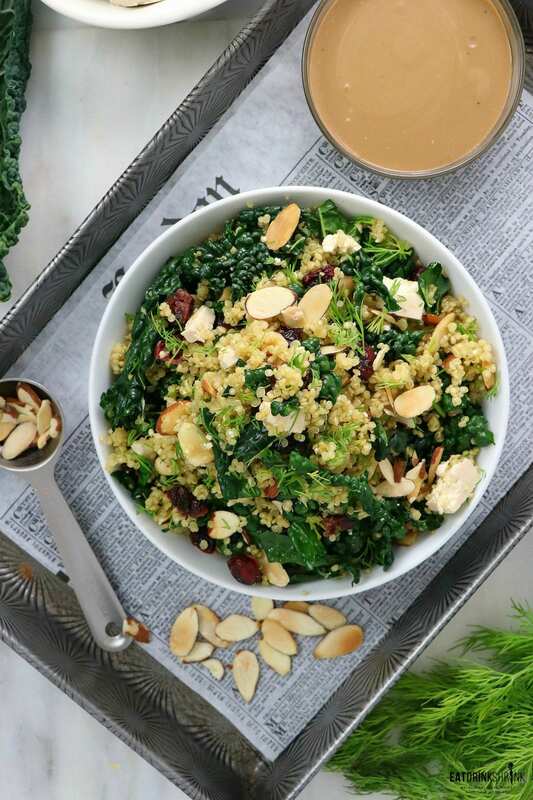 Today the kale buzz has died down a little, but you’ll still see run of the mill kale salads that are no different than any mixed green salad I’ve every tried. I’m not sure how these components work together so seamlessly, but they just do. 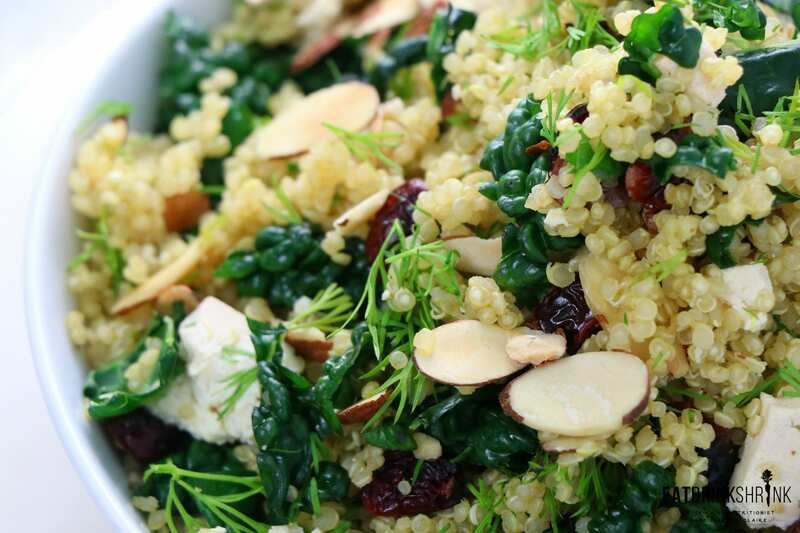 So much that I can say with confidence..
What’s fab about this salad, is everything! It contains minimal staple ingredients, minimal steps, has a sweet component with the cranberries, savory with the nuts, a tartness with the tofu feta, and the dill just ties everything in together. 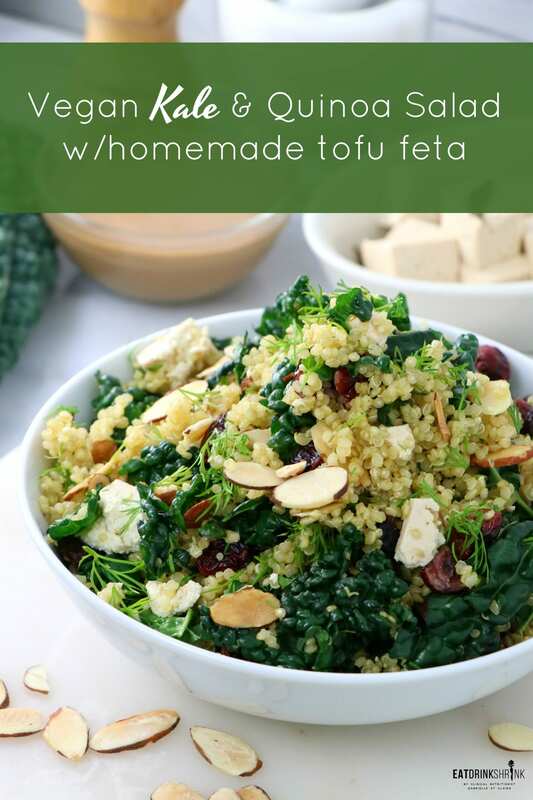 It’s got multiple textures, aesthetically gorgeous, you can use the tofu feta for countless dishes, it’s perf for any season, perf for entertaining, can easily be made in bulk, and the dressing just puts this salad over the top!! 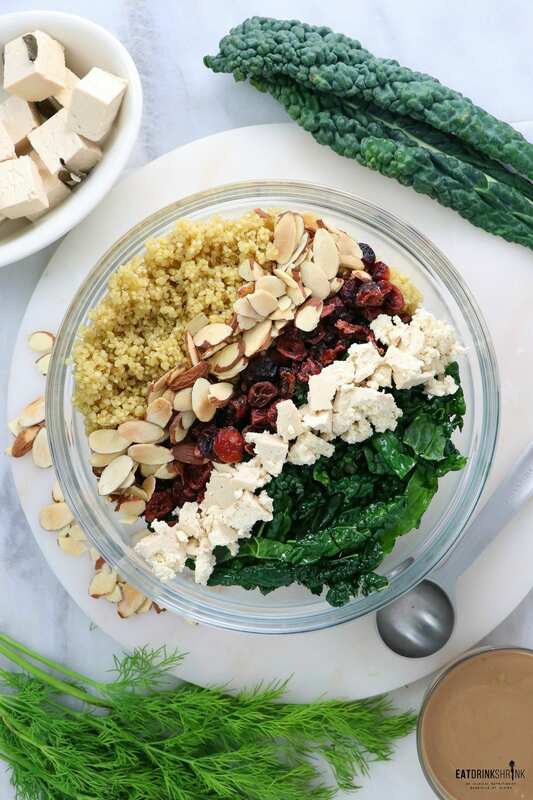 If you’re searching for that staple salad that can be made in advance (won’t get soggy like those with fresh fruit), is perf for any season, and hits the mark in every capacity, you have to try this Kale & Quinoa Salad with homemade tofu feta!! 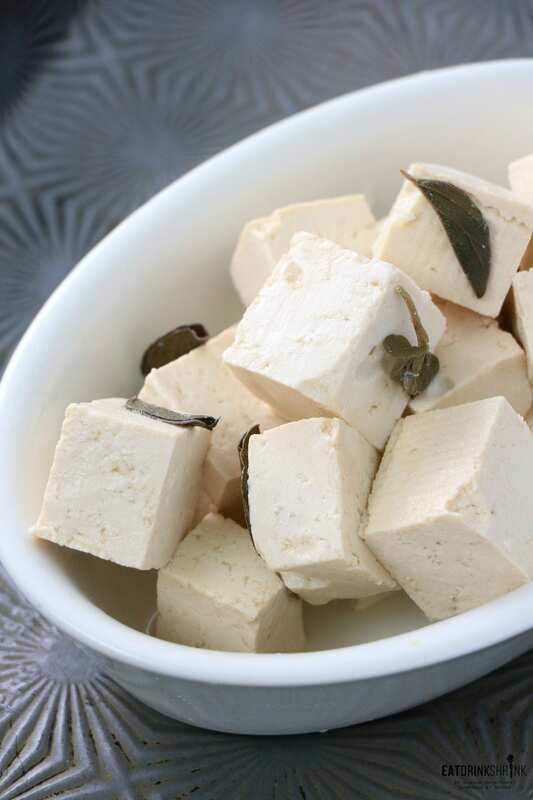 Tofu Feta: Drain and cube the tofu. Add to a jar with the other ingredients, store in the fridge for up to 2-3 weeks. The longer you store the more firm the texture is, which is better! You can also remove the fresh oregano after a few days to further increase the shelf life of the tofu feta. 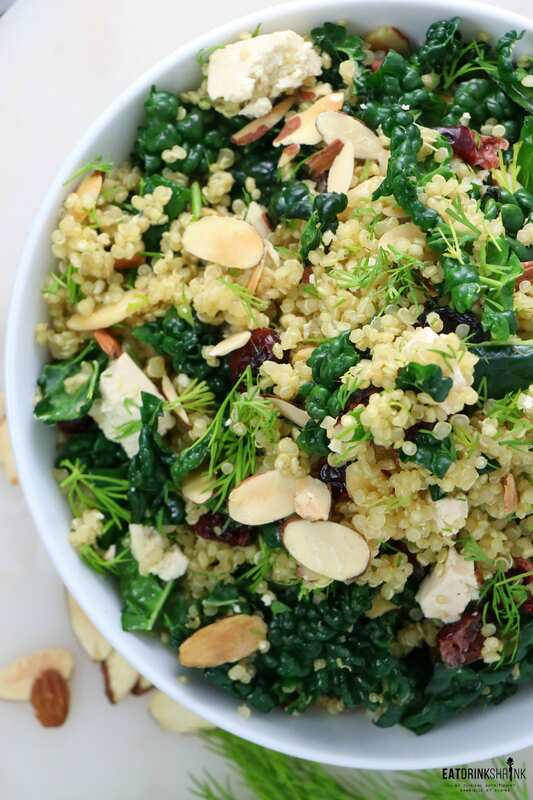 Salad: Wash the kale and massage w/olive oil to loosen the fibers. Slice and combine with remaining salad ingredients. 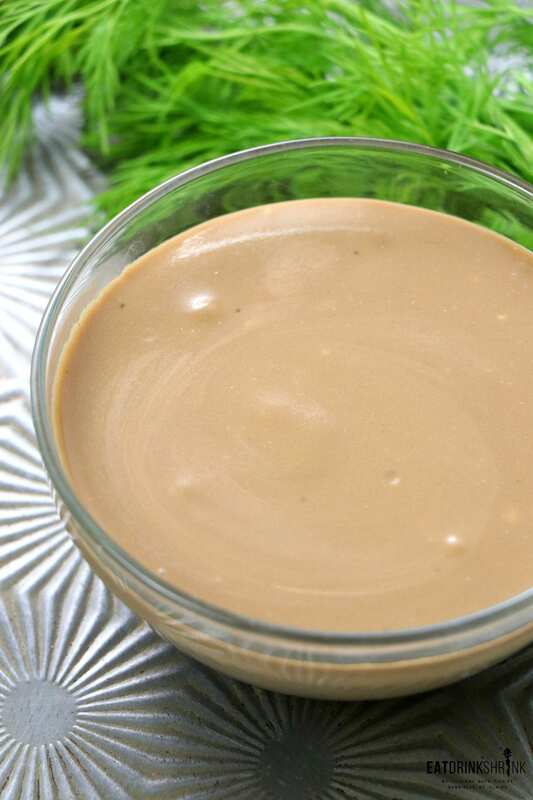 Salad Dressing: Combine all of the salad dressing ingredients, whisk until smooth. Chill, then serve!